After completing this course, you should have a good understanding as to how applications are built on top of MongoDB. This course should also prepare you to take the DBA certification associate exam. 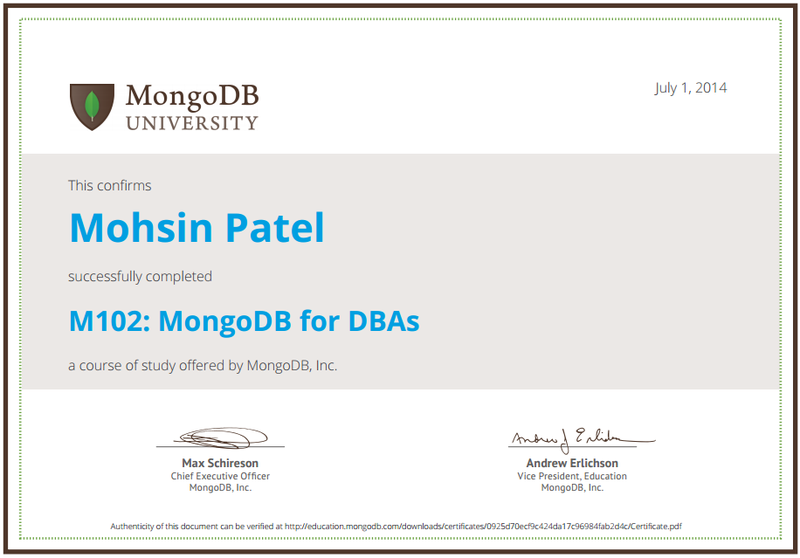 Register for next exam session to become a MongoDB Certified Professional. Each week we release new video lectures and homework assignments.